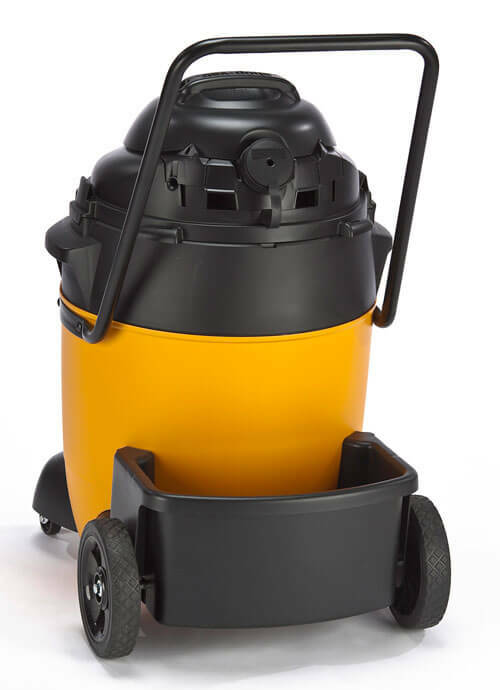 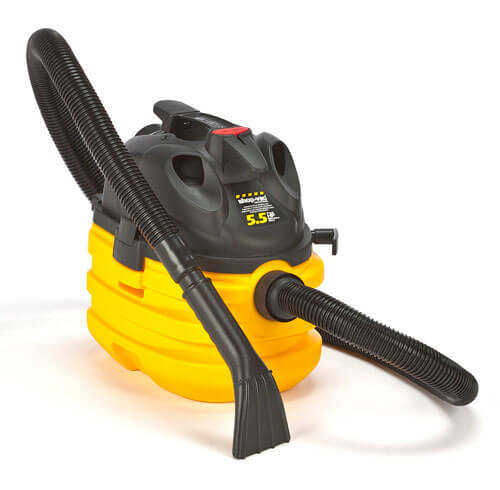 We offer a full range of wet-dry vacuum cleaners from a portable 2 gallon / 2 Peak HP to a rugged 32 gallon tank model with 6.5 Peak HP. 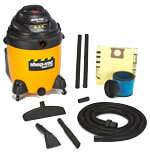 Your decision may be based upon the size of the unit, accessories included and price. 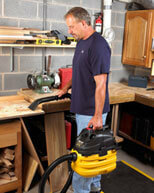 For the most part, wet-dry vacuums are fairly simple. 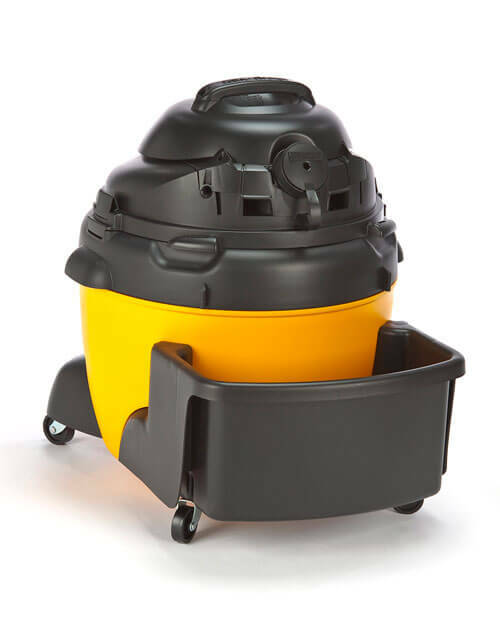 They have minimal moving parts. 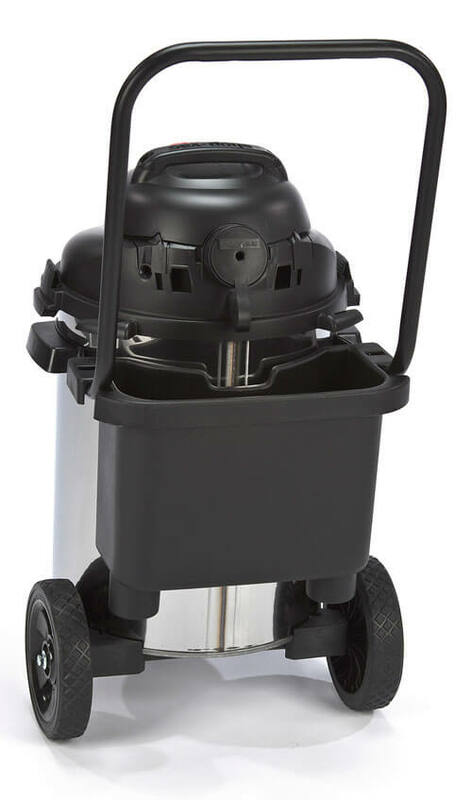 The electric motor and air impeller represent the primary mechanical components. 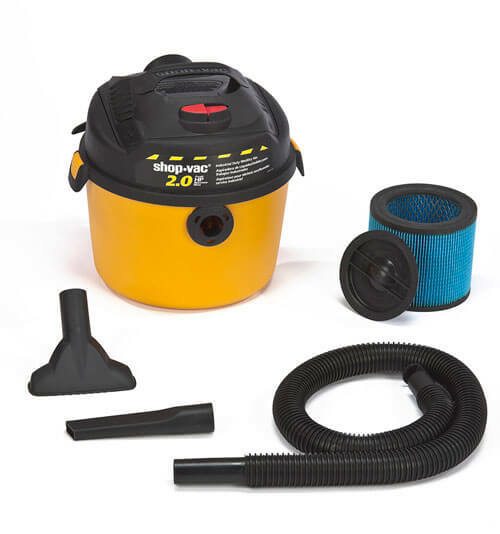 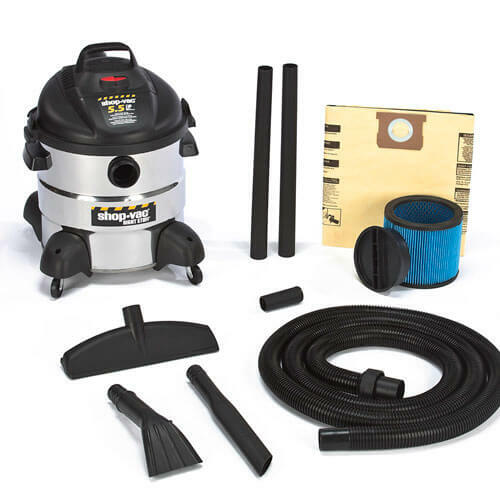 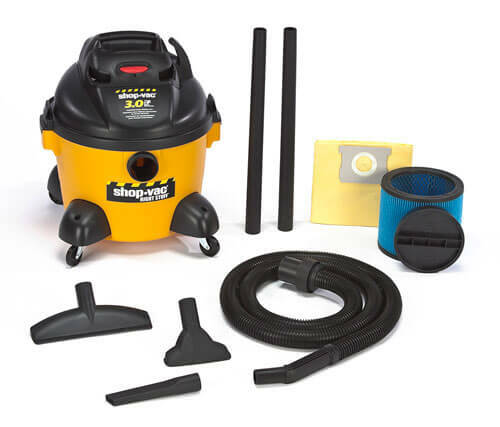 This product line includes wet-dry vacuum cleaners and a full range of accessories for the shop, home, office, and garage environments. 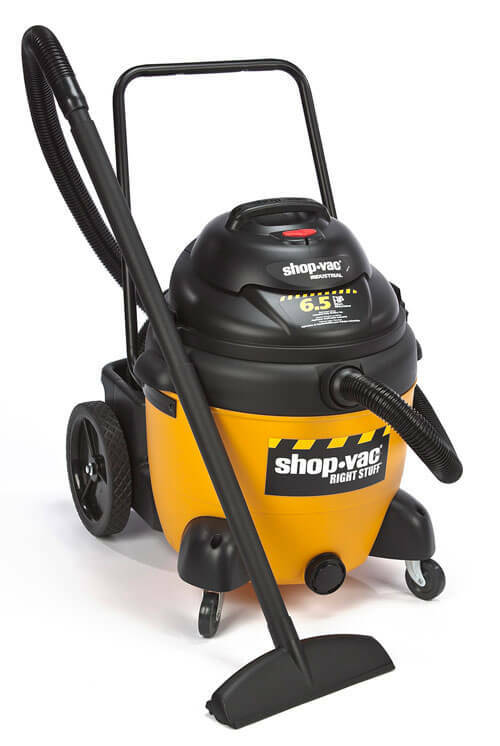 Do not vacuum toxic, carcinogenic, combustible or other hazardous materials such as asbestos, arsenic, barium, beryllium, lead, pesticides or other health endangering materials. 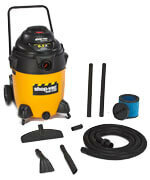 Wet-dry vacuums can be useful for a variety of different applications. 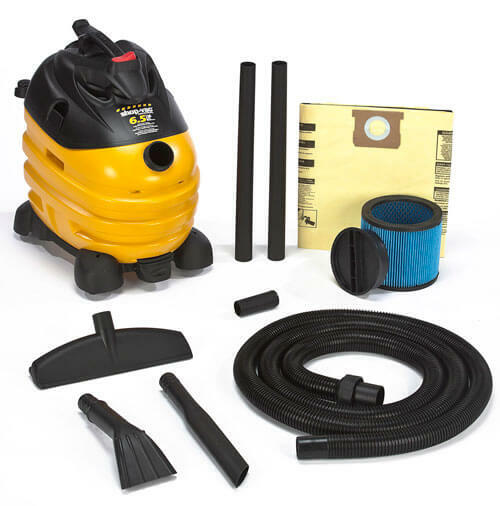 Flexible enough to pick up debris and water as well as being used as a blower, the jobs that can be done are virtually endless. 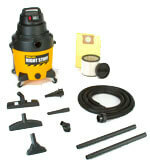 They incorporate the latest processes and highest standards for engineering, design and production. 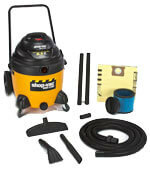 The result is high-quality products with exceptional performance and durability. 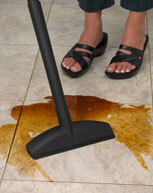 A great companion item is our line of floor Squeegees for control and collecting large spill areas. If there are drains in the surrounding area choose from various options for portable dams and drain covers. 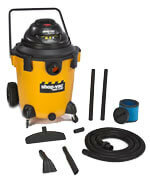 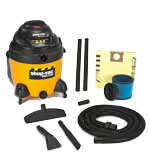 Cost effective, lower cost compared to other wet dry vacuum cleaners in the marketplace. 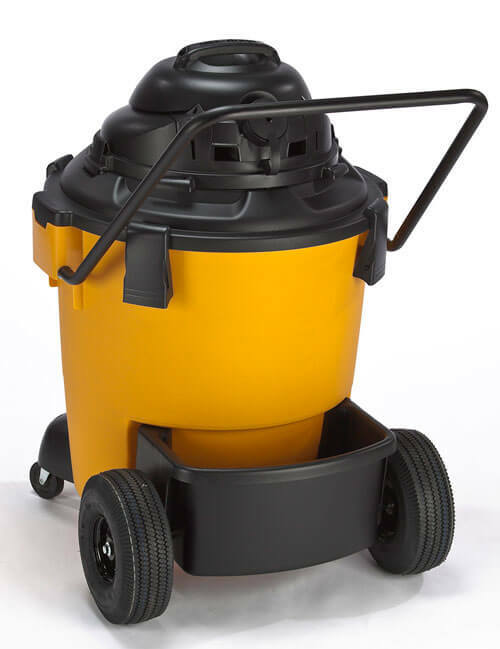 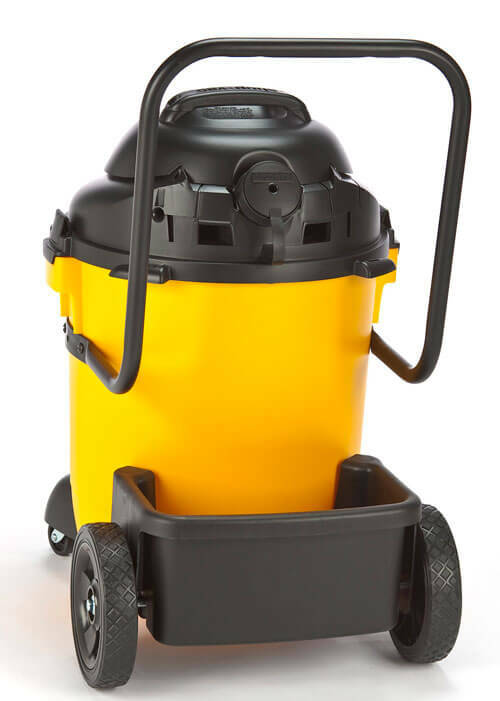 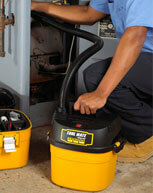 Promotes safety, clean spills and dust quickly and quietly with powerful motors. 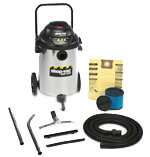 Minimizes liability, superior water removal and multiple tools for most applications. 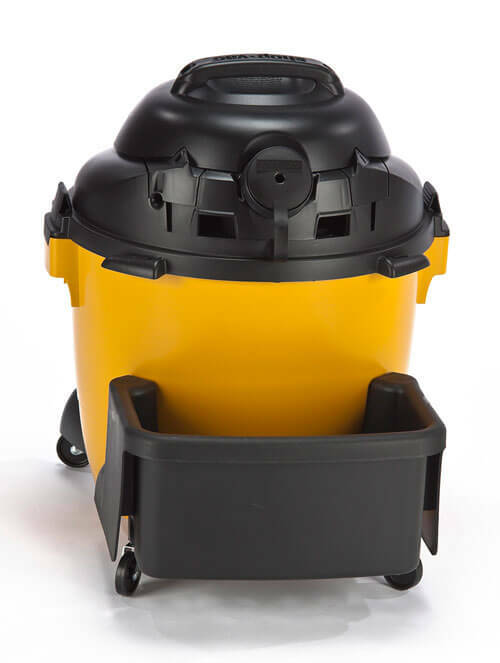 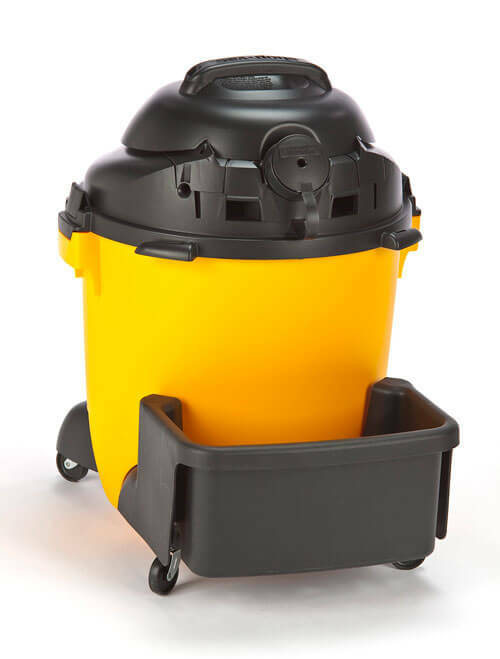 Top quality cartridge filters, easy to clean and capture your dust and dirt with great efficiency. 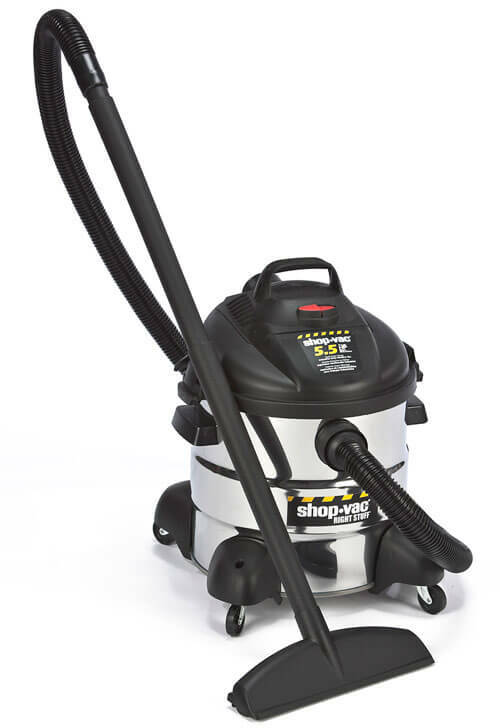 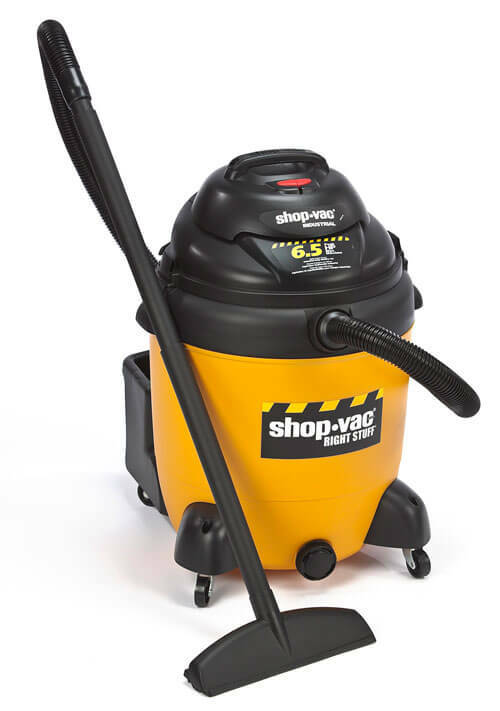 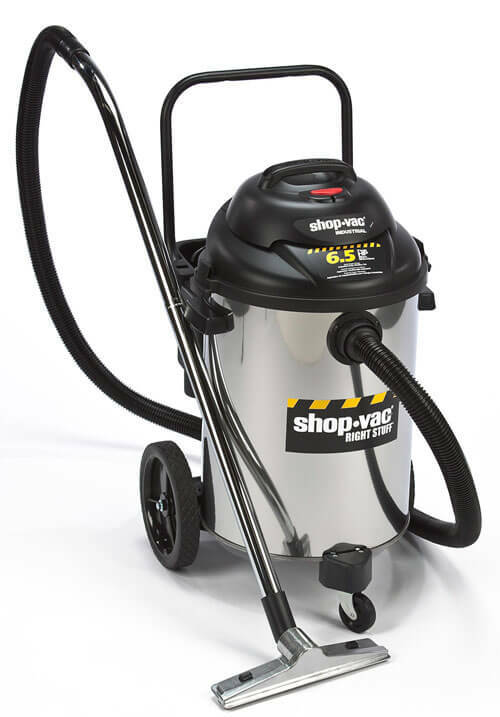 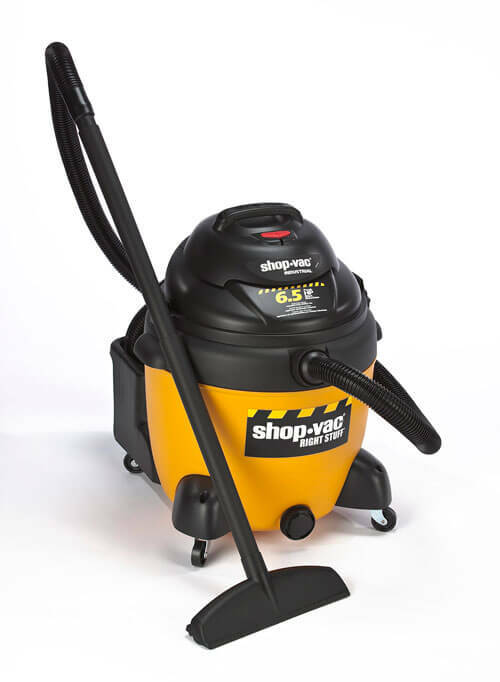 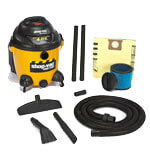 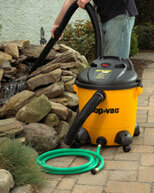 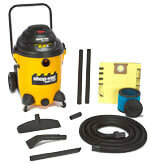 Large service network, Shop Vac is the most prolific brand in wet dry vac industry, many service locations. 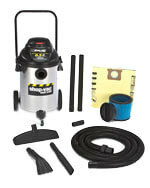 Shipping Dimensions: 14" x 14" x 14"
Accessories include: Gulper nozzle, crevice tool, tool holder, washable cartridge filter. Shipping Dimensions: 17" x 17" x 21"
Accessories include: (2) 1 ¼” extension wands, 10” wet/ dry nozzle, gulper nozzle, crevice tool, tool holder , washable cartridge filter, high efficiency drywall disposable filter bag. Shipping Dimensions: 19" x 19" x 27"
Accessories include: (2) 1 ½ ” extension wands, 14” wet/ dry nozzle, claw utility, crevice tool, 1 ½ “ adaptor, tool holder, washable cartridge filter, high efficiency drywall disposable filter bag. 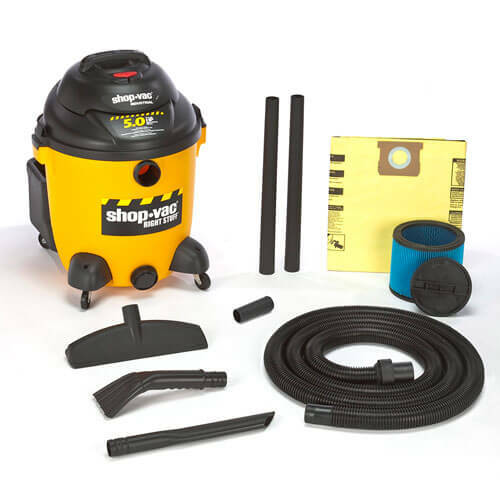 Accessories include: (2) 1 ½ ” extension wands, 14” wet/ dry nozzle, claw utility, crevice tool, 1 ½ “ adaptor, tool holder, washable cartridge filter, (2) high efficiency drywall disposable filter bag with foam sleeve. 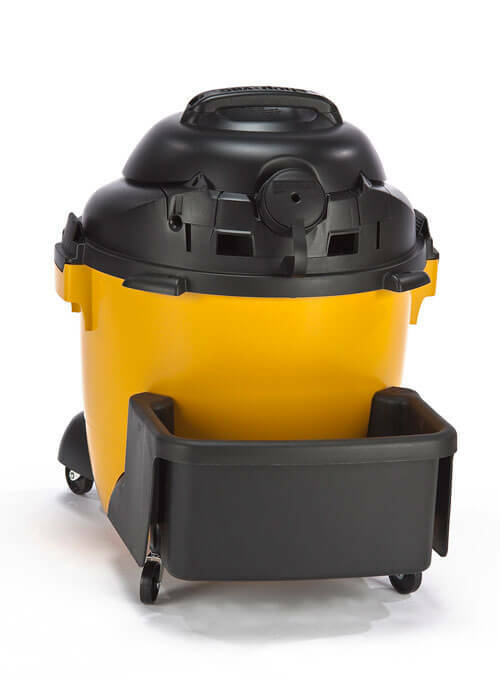 Shipping Dimensions: 19" x 19" x 29"
Shipping Dimensions: 20" x 20" x 29"
Shipping Dimensions: 20" x 20" x 30"
Shipping Dimensions: 20" x 20" x 33"
Shipping Dimensions: 18" x 14" x 18"
Accessories include: Claw utility, crevice tool, 1 ½ “ adaptor, tool holder, washable cartridge filter, high efficiency drywall disposable filter. 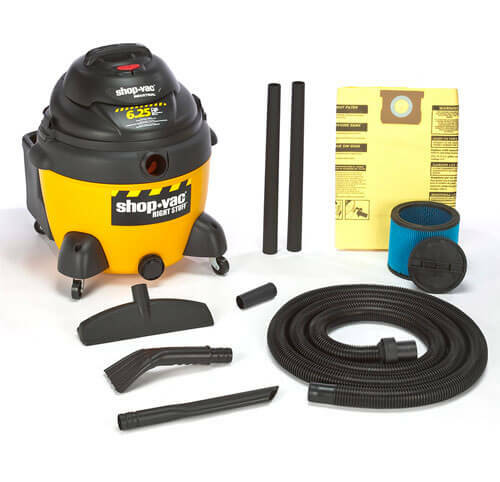 Shipping Dimensions: 21" x 15" x 22"
Accessories include: (2) 1 ½ ” extension wands , claw utility, crevice tool, 1 ½ “ adaptor, tool holder, washable cartridge filter, high efficiency drywall disposable filter bag, quick release removal dolly. 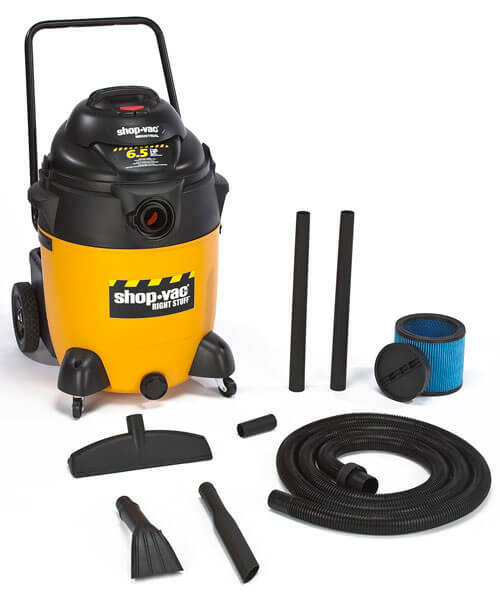 Shipping Dimensions: 19" x 19" x 33"
Accessories include: (2) 1 ½ ” extension wands , claw utility, 14” wet/dry floor nozzle, crevice tool, 1 ½ “ adaptor, tool holder, washable cartridge filter, high efficiency drywall disposable filter bag, large rear wheels and dolly handle. Shipping Dimensions: 20" x 20" x 36"
Accessories include: (2) 1 ½ ” extension wands , claw utility, 14” wet/dry floor nozzle, crevice tool, 1 ½ “ adaptor, tool holder, washable cartridge filter, large rear wheels and dolly handle, tank inlet can accept 2 ½ and 3 ½ “ diameter hoses. 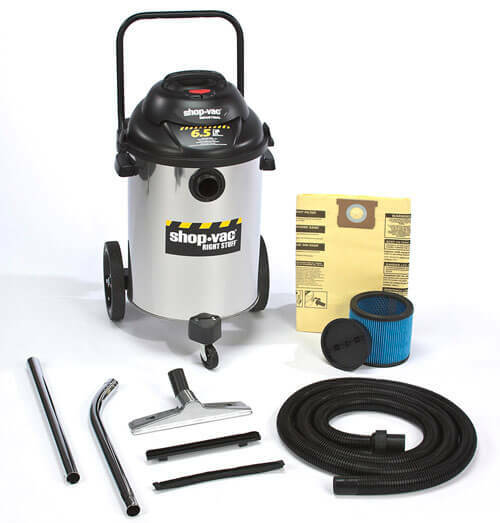 Shipping Dimensions: 25" x 25" x 35"
Accessories include: (2) 1 ½ ” extension wands , claw utility, 14” wet/dry floor nozzle, crevice tool, 1 ½ “ adaptor, tool holder, washable cartridge filter, Pneumatic rear wheels and dolly handle, tank inlet can accept 2 ½ and 3 ½ “ diameter hoses. 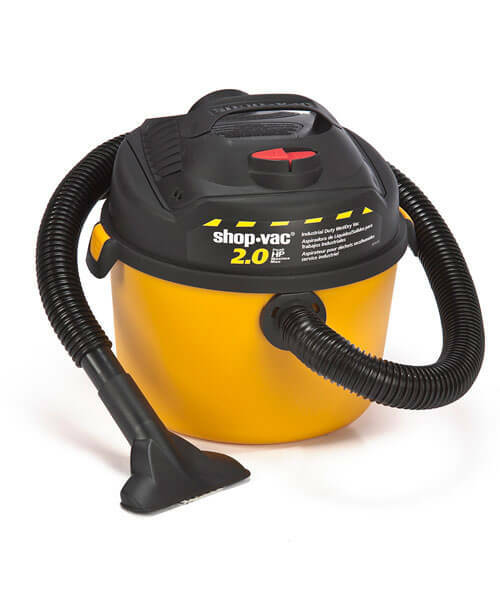 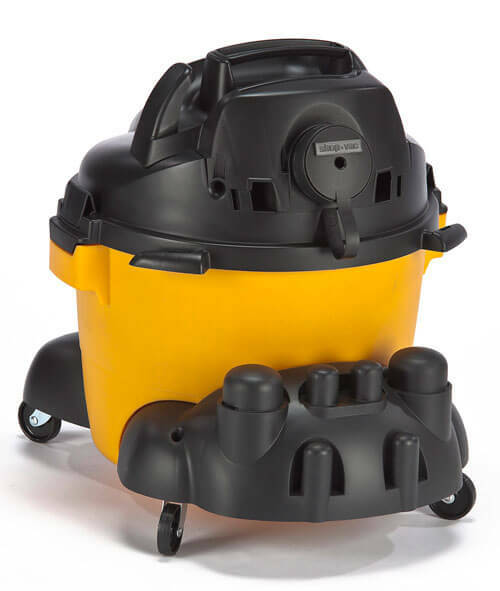 The On Demand Vac automatically turns on and off as you turn your power tool on and off, helping to keep your workspace clean. Shipping Dimensions: 17" x 17" x 28"
Accessories include: (2) 1 ¼ ” extension wands , gulper nozzle, round brush, 10” wet/dry floor nozzle, crevice tool, 1 ½ “ adaptor, tool holder, washable cartridge filter, high efficiency drywall disposable bag filter. Accessories include: (2) 1 ½ ” extension wands ,claw utility nozzle, 14” wet/dry floor nozzle, crevice tool, 1 ½ “ adaptor, tool holder, washable cartridge filter, high efficiency drywall disposable bag filter. 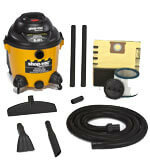 10 Gallon, 6.5 Peak HP Stainless Steel Wet-Dry Vacuum. Shipping Dimensions: 18" x 18" x 30"
Accessories include: (2) 1 ½ ” metal extension wands , 14” metal wet/dry floor nozzle with brush and squeegee inserts, tool holder, washable cartridge filter, high efficiency drywall disposable bag filter. 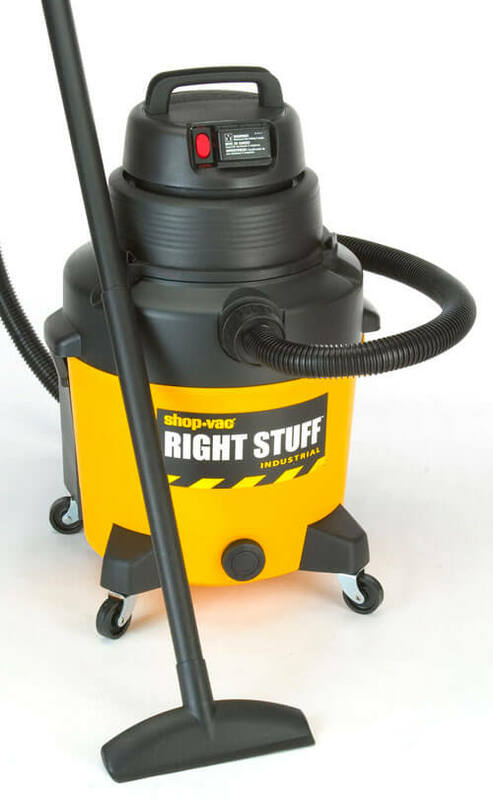 This straight blade squeegee is designed for every day normal use. 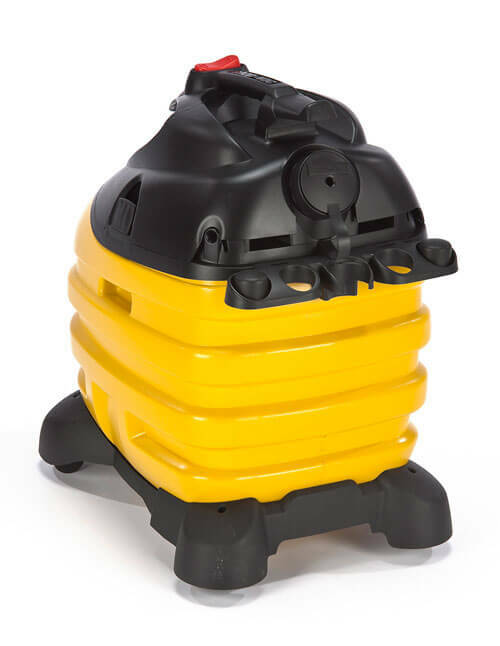 These dams can be used to block any water or unwanted chemicals.